Castle of Frankenstein, vol. 2, no. 4. Edited by Calvin T. Beck. Gothic Castle Publishing Co., New Jersey, 1966. 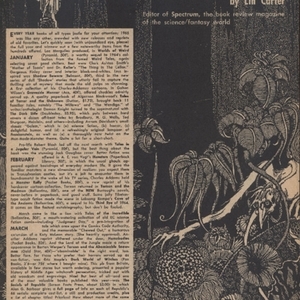 Calvin T. Beck, “Castle of Frankenstein, Vol.2 No.4, Horror Fantasy Books, Lin Carter,” UVic Libraries Omeka Classic, accessed April 21, 2019, http://omeka.library.uvic.ca/items/show/1201.